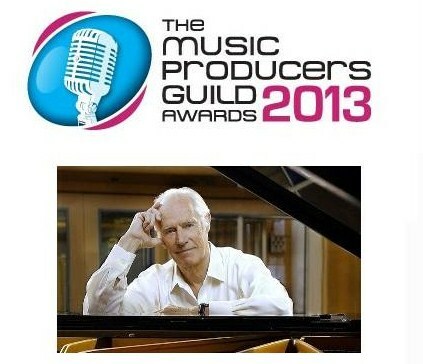 I have been confirmed to attend the MPG Awards in London on February 7th, two weeks before the Brits. To say that it will be a special night is an understatement. The Guild is honoring its greatest member and founding patron Sir George Martin. Arguably the greatest record producer of all time and without question the guiding steward of the greatest band in history, Sir George will receive the “Outstanding Contribution To British Music Award” (The MPG’s highest honor). George Martin is not only one of the most talented persons in the history of popular music, but one of the most generous, interested and nicest people one could ever meet. It has been one of the great privileges of my musical life to have had the interaction I have had with him, and I along with everyone else am very excited and look forward to seeing him again on the 7th. I have had to give up my Grammy Tickets for the second year in a row as I will be in London from February 7th forward, for work, meetings on my film, and the Brit Awards on the 20th, and beyond. During Grammy Week in LA, The Producers and Engineer’s Wing of the Recording Academy is honoring Quincy Jones, one of my greatest heroes. I would have loved to be there but London is calling.